White flowers and foliage. An ideal presentation bouquet to be sent to a funeral. 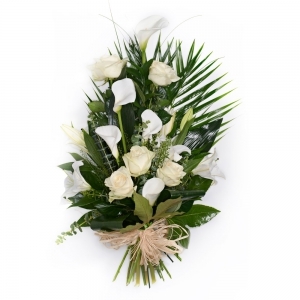 In whites this bouquet is suitable for a man or a lady.